Perfect Weather for Real Texas Paintball! MediaFire could always boast of being a leisure-friendly company, not only providing everything necessary for work, but also creating the opportunity to express oneself, and just relax every once in a while. Many of you must’ve heard about our Friday team lunches, Halloween costume contests, Wednesday card games, Ping-Pong tournaments, holiday celebrations and more. You might think that this couldn’t get any better, – but it just did! 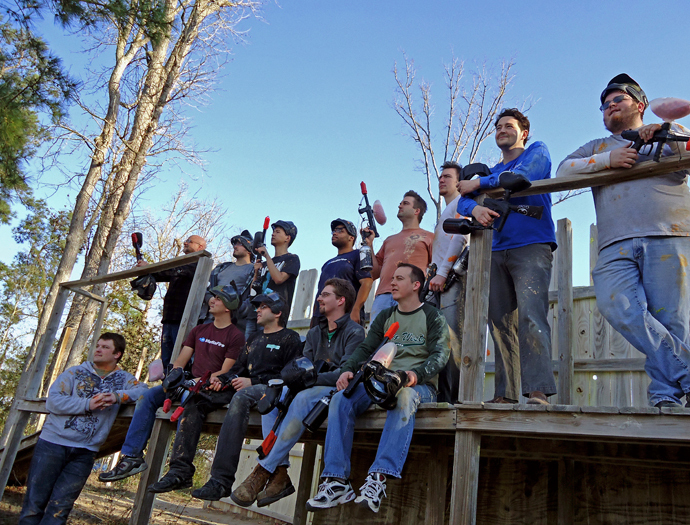 Last week MediaFire organized a special event for its engineers – a whole day of paintball! It was a clear sunny day, just perfect for some freshly made burgers and grilled hot dogs, being outside, and having some fun! This was an epic battle of Web vs. Desktop; conquering one field after another, each team fought the best they could for the victory. Winning some and losing some, the MediaFire team members were leaving the battle field with heated discussions after each game round trying to work out a better strategy for the next one. In the end there was a lot of paint all over everyone, – that’s how you know it was a good game! After being enemies for a few hours, the MediaFire developers went back to being a team again by the end of the day. To experience all this, and much more – join us today!